I have been back from Sydney now for a few days, biding my time, with a couple of extra days off work to unpack, wash, sleep, shop, and get myself back into a semblance of good sensible eating once more. The next two weeks are going to be incredibly busy with a chunk of movies to see as part of the Brisbane International Film Festival, work, two day conference this weekend, end of year work event and then packing up for my holidays early December. Sydney was exceptional. My friend M and I have been seeing each other a lot more this year then years gone by now that she is back in the country. The trip between Sydney and Brisbane is so easy at just over an hours flight time. Pretty soon you’ve left blustery and rainy, grey Brisbane behind and you’re in cloudy Sydney. Haha. The rest of the weekend the weather was gorgeous. Bright blue skies, with a fresh breeze. M and I got plenty of things done too – breakfast, walks, shopping, Bondi, markets, beach, city, fishmarkets, Chinatown, more walking, amazing Mexican food, beers and of course RADIOHEAD! I was the kind of distance from the front that you can fool yourself into thinking that you just shared a moment with Thom. About six people from the front of the barrier. The support act were Connan Mockasin, a psychedelic pop outfit from NZ. They were tolerable and provided amusement in their half hour set. But I was pretty happy to see them finally walk off stage. 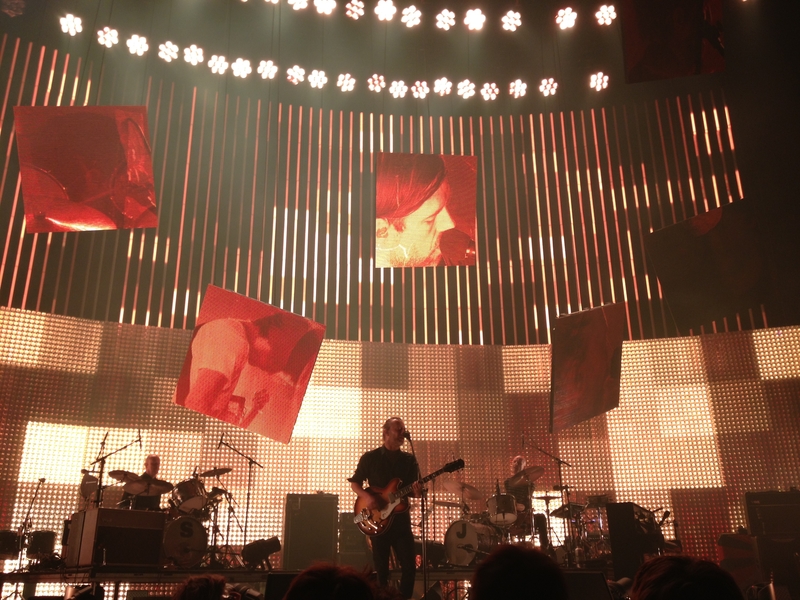 Another half hour wait and then – the band emerged including Thom directly in front of me. He was so close I could see him and his facial expressions. I could see that he was enjoying himself. I could see his hypnotic and chaotic dance moves. Mostly I couldn’t quite fathom how close I was to the greatest* band in the world! They played a large number of tunes from their last two albums, but I didn’t really care what they played as they were relentless and wonderful. 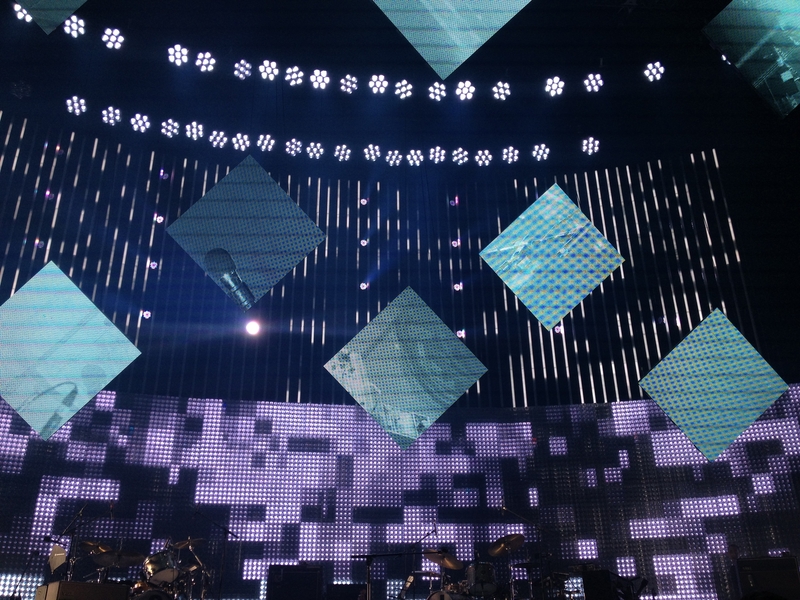 One song would finish with the wonderful light show and the amazing video screens fading to black. And then the next song merely seconds later would follow. It was a tremendous evening of sound and colour and musicians that are all over their craft. I enjoyed every moment. After their two encores I secretly hoped they’d be back, but with the fabulous Idioteque they ended their evening and walked off stage for the final time. It’s a night that will live in my memory for a good while. I didn’t take many photos as the air in front of me was taken up with countless arms and Iphone screens. I just wanted to forget about the electronic forms and make my own memories. Unforgettable! Just to top off the end of such a great evening we wandered through Chinatown and spied bowls of noodles – so we dashed into a Chinese restaurant, no Westerners in sight (Yay!) 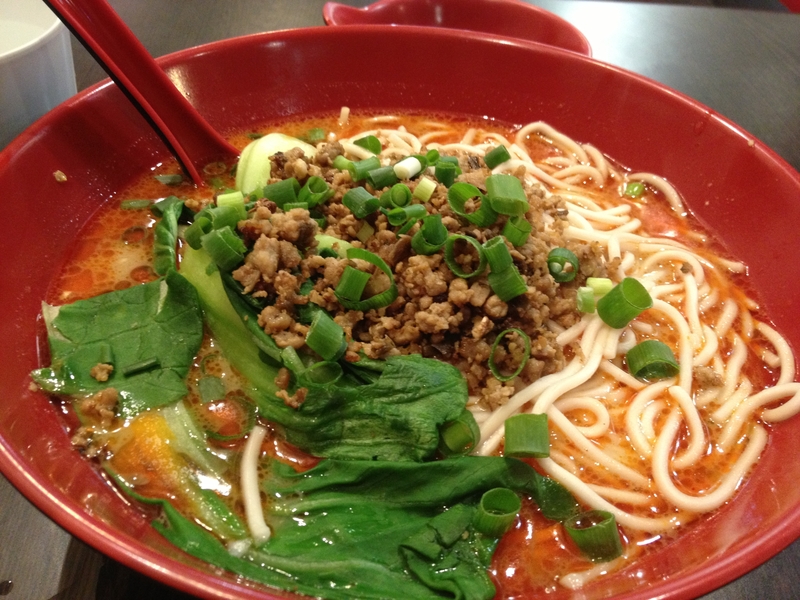 and ordered the House Special Sichuan Dan Dan Noodle which was so flavoursome we gulped at it. A perfect end to a perfect evening! * We have discussed the “greatest” band of all time. The jury is still out. I don’t think the greatest can be named. Nor should it. But it was brilliant! That’s for sure.